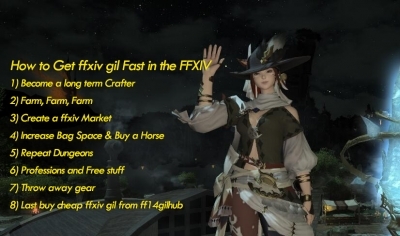 FF14GILHUB Goal is to Better FFXIV Gil Service,Cheaper Final Fantasy XIV Gil! 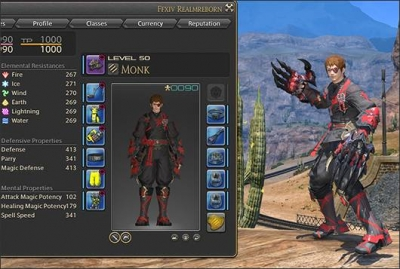 What is the best way to get FFXIV soldiery? I just hit ilvl55 and dropped 375 soldiery on a belt to get me there. What is the best way to get soldiery? Trials Roulette requires some pretty high ilvl trials these days and requires you to be all the way through the 2.55 story. 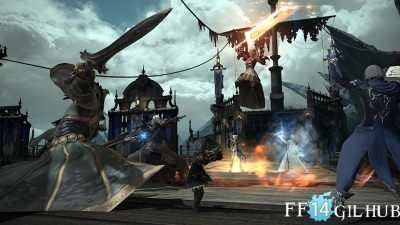 Steps of Faith, for instance, requires ilvl 90, so I don't think the OP will be able to do Trial Roulette anytime soon. What you want to do is Story Roulette every day. That gives 120 soldiery if no one is new, and 200 soldiery if someone is new, and it doesn't have an ilvl requirement. Hunts are probably the fastest way to get tomes, but they're not reliable. You should be able to get about 200 tomes an hour on average via the Hunt, if you find a persistent party that knows what they're doing. If you get lucky and the spawns cluster nicely, you can actually get up to 680 tomes in one hour, but then there would be nothing for the next three since the A rank Hunt marks have a four hour respawn timer. People on my server use this site to track which Hunt marks are open: http://ffxiv.ariyala.com/HuntTracker/Lamia but it doesn't look like your server uses it... you should ask around for how people hunt on your server and get into 1-8 Hunt Linkshells. Hunting has no ilvl requirement, but you need to get maximum credit in order to get the maximum reward (40 soldiery and 30 allied seals for an A rank (respawn: ~4 hours), 100 soldiery, 10 poetics, and 100 allied seals for an S rank (respawn: ~36 hours), and there are 17 of each). Your credit is equal to the aggro that your entire party has generated, so the best classes for it are tanks and healers, but any class can participate (you just really want some tanks or healers in your party). Be sure to be in a party for hunting, and when a mark spawns, at least on my server, people throw up parties in the Party Finder. You can also shout in a zone where a hunt mark has spawned for an invite. If you find an A or S rank hunt mark, you can click on it and do /sh <t> found at <pos> which will announce to everyone in the zone that the mark was found and where it was found. Like someone else said, unlock the Crystal Tower as soon as you can (Unlock Quest: "Legacy of Allag" obtainable in Revenant's Toll. First Duty: "Labyrinth of the Ancients"). Those will give 100 soldiery per run as well as high ilvl gear. The first part (Labyrinth of the Ancients) drops i80 gear and requires ilvl 50 to enter. The second part (Syrcus Tower) drops i100 gear and requires ilvl 70 to enter. The third part (World of Darkness) drops i120 gear and requires ilvl 90 to enter. 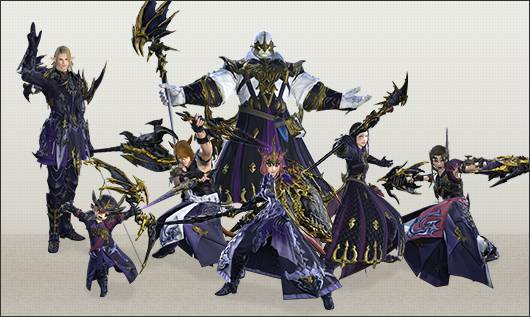 The Crystal Tower raids only drop "left-side" gear (head, arms, chest, waist, legs, feet). All three parts take 30-40 minutes and give 100 soldiery and 10/15/20 poetics. When you get high enough, you can also spam the later dungeons Snowcloak, The Sunken Temple of Qarn (HM), and Sastasha (HM). These require ilvl 80 and drop i90 "right-side" gear (neck, ears, wrists, rings), and drop token items (Antiques) that can be exchanged for any class's corresponding left-side armor piece (like, "Antique Helm" can be exchanged for a piece of i90 head gear for the class of your choice). They also take 20-30 minutes and give 70 soldiery and 30 poetics. When you get even higher, you can do the latest three dungeons, which are Keeper of the Lake, Amdapor Keep (HM), and Wanderer's Palace (HM). These require ilvl 90 and drop i100 left and right side gear (everything but weapons) for all classes. They also take 20-30 minutes and give 100 soldiery and 40 poetics. There's also something to be said about Garuda (HM), which only requires ilvl 52. This fight takes ~4 minutes (assuming at least half the group is familiar with the content and relatively competent) and gives 12 soldiery and 5 poetics. Some people use this duty to level up their relic weapon from Novus to Nexus so they just want to go through it super fast. If you can do it in 4 minutes, that's 15 runs an hour for 180 soldiery (and 75 poetics) an hour. Doing that is pretty mind-numbing though! You can also get an i70 weapon from this, if you don't have better yet. None of the above stuff drops weapons. For upgrading your weapon, by the way, you may want to do the quest "A Relic Reborn" up to the Zenith level. It's a pretty easy way to get an i90 weapon. After that, the quest gets hard, but it's not so bad to that point. Alternatively, you can spend 1,300 soldiery and an item dropped from Syrcus Tower (Unidentified Allagan Tomestone) to get an i100 weapon (upgradable to i110 with a Sands of Time also from Syrcus Tower), or spend 1-2 million gil on an i110 crafted weapon (Wootz Spear), or do PvP until you get 2,750 Wolf Marks for an i90 Direwolf Trident. Those are the easiest ways to get a decent ilvl weapon. 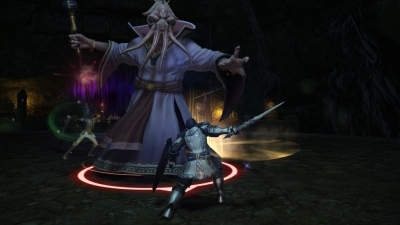 The hard ways include spending 1,300 poetics and an item from a weekly quest (Encrypted Allagan Tomestone) for an i120 weapon (upgradable to i130 with another weekly quest item, Carbontwine), beating Garuda (Extreme) Titan (Extreme) and Ifrit (Extreme) for an i90 weapon (weekly quest), beating Leviathan (Extreme) for a chance at an i95 weapon, beating Ramuh (Extreme) for a chance at an i100 weapon, beating Shiva (Extreme) for a chance at an i110 weapon (upgradable to i115 if you beat her five times), getting your PvP rank up to 40 for the i100 PvP weapon, getting your PvP rank up to 45 for the i110 PvP weapon, beating Turn 5 of the Binding Coil of Bahamut (aka T5) for a chance at an i95 weapon, beating Turn 4 of the Second Binding Coil of Bahamut (aka T9) for a chance at an i115 weapon, or beating Turn 4 of the Final Binding Coil of Bahamut (aka T13, hardest fight in the game) for a chance at an i135 weapon. The last way is to get your relic weapon up past Zenith. The relic goes i80 (Relic) -> i90 (Zenith) -> i100 but with i90 stats (Atma) -> i100 (Animus) -> i110 (Novus) -> i115 (Nexus) -> i125 (Zodiac) -> i135 (Zeta). Doing the full quest will take a couple months of grinding (on average, ~150 FATEs and ~300 dungeons), a few million gil, 80,000 GC seals, and between 15,000 and 45,000 soldiery (depending on how many Alex maps you buy with soldiery). Those numbers are not exaggerated, and are actually lowballing it in some places. PvP restricted by factions: sometimes i would like to enjoy some PvP, but if you want to invite some friends from a different company, it's not possible. Raise trait should be removed for all healers and replaced for something actually useful. 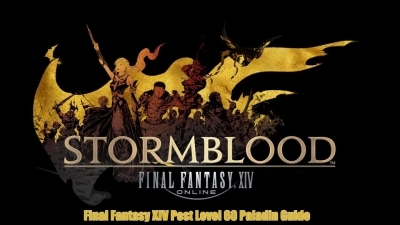 Hey guys, we must say that we are really digging what Square Enix have done with Final Fantasy XIV and we could not be any more excited for Stormblood. 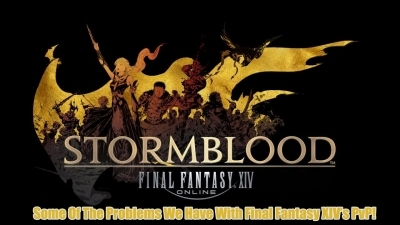 Some Of The Problems We Have With Final Fantasy XIV's PvP! 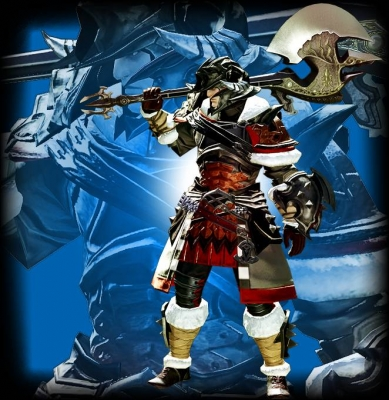 As we know ffxiv gil is very important in Final Fantasy XIV, you can use them to buy gears, mounts, equipment, armor, weapon, bags etc. Many things need to cost your gil, so you always feel your ffxiv gil not enough. 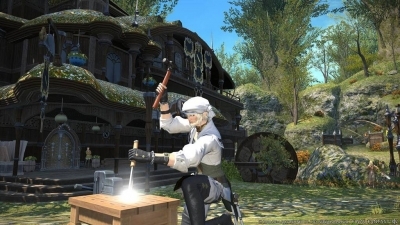 Today, let's summary of how to fast farm ffxiv gil quickly in the Final Fantasy XIV.